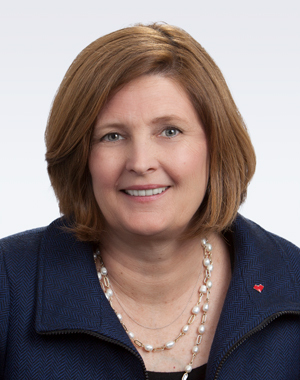 Eva Boratto currently serves as Executive Vice President and Chief Financial Officer of CVS Health. In this role, Boratto is responsible for all aspects of the company’s financial strategy and operations, including accounting and financial reporting, investor relations, mergers and acquisitions, treasury and capital planning, investments, risk management, tax, budgeting and planning, and procurement. Most recently, Boratto was Executive Vice President, Controller and Chief Accounting Officer for CVS Health, responsible for leading the overall financial reporting for the company, underwriting and contracting for various aspects of the business, and the financial planning, analysis and operations functions of CVS Health. Previously, Boratto served as Senior Vice President and Chief Accounting Officer from 2013 to 2017. She joined the company in 2010 as Senior Vice President, PBM Finance. Boratto has an extensive financial background that spans more than 20 years and includes senior positions in both the pharmaceutical manufacturing and PBM industries, along with other health care finance roles. Boratto has served in a number of executive positions at Merck & Co., Inc., an international pharmaceutical company, including as Vice President, U.S. Market Finance Leader, where she was responsible for financial oversight of Merck’s U.S. pharmaceutical market. Boratto holds an undergraduate degree in Accounting and Economics from Rutgers University, Douglass College & School of Business, and an MBA from Drexel University.